Global Packaging Solutions manufactures high quality reusable non woven tote bags, and eco friendly reusable shopping bags. With hundreds of styles to choose from ultra compact non woven tote shopping bags that fold up and fit anywhere, heavy-duty non woven shopping bags strong enough to handle trips to big box retailers and everything in between. We offer Insulated non woven bags to keep food at safe temperatures in transit, string bags for fruit stands and farmer’s markets, customized designs for kids and the young at heart, and one of our most popular designs is our mutli-pocketed wine bottle carriers. Sustainable materials, smart design and a huge selection make it easy to find a shopping bag for any occasion. Non woven reusable tote bags are ideal for shopping, transporting items, storage and more. Plus most non woven tote bags fit over your shoulder making it easy to carry while keeping your hands free. Multi functional and eco-friendly, non woven tote bags offer a great solution to kicking the plastic bag habit. GPS is your online headquarters for custom non woven and woven polypropylene bags. Reusable bags make perfect sense. Whether you are a large grocery store looking for wholesale shopping bags at the best cost, or a winery that needs eco friendly wine bags with a logo, we have something for you! 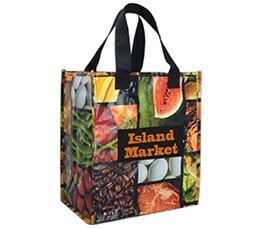 Why buy your custom printed reusable non woven tote bags and wine bottle bags from GPS? Corporations love our promotional non woven tote bags for trade shows and corporate events! Schools and churches love the reusable non woven shopping bag for fund raising ideas and food drives! For those of you simply looking to put down the paper and plastic and build your own shopping bag to help our Earth, contact us asap, as we have several bags which can be bought in minimum quantities and are sure to bring a smile to your face! 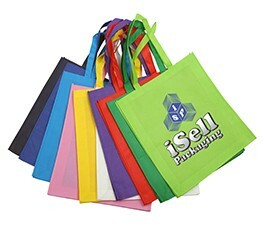 All of our non woven bags are eco friendly, reusable, durable and an ideal marketing tool. Available materials include RPET recycled, nonwoven polypropylene, jute, cotton, bamboo and more. Please contact us immediately to speak to one of our qualified sales representatives to help you select and design the right non woven bags for you needs.